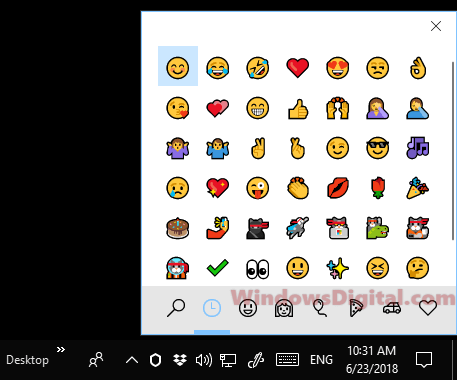 Emoji panel is a feature introduced in many updates ago and was recently improved in the Windows 10 April 2018 update. You can open the Emoji Panel in Windows 10 by pressing the keyboard shortcut of Windows logo key + period (.). There is a known issue where the Emoji panel keyboard shortcut in Windows 10 not working after update. Here’s how to fix the problem. 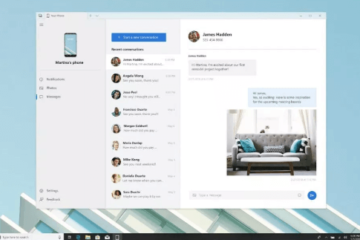 Emoji panel in Windows 10 allows you to insert various types of emoji into any text field such as word or text documents, conversations, web browsers, apps and other places. 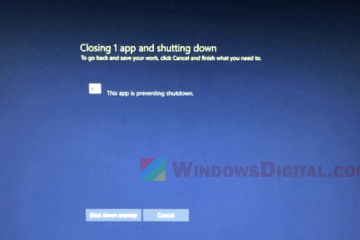 In some cases, users reported that the emoji panel doesn’t show up after pressing the emoji keyboard shortcut in Windows 10. Some also reported that the emoji panel showed up fine before but it suddenly stopped showing up after update. If the Windows 10 emoji panel used to work fine but suddenly it stopped showing up even if you press the keyboard shortcut keys, try to close every opened apps and restart your PC. Sometimes the emoji panel would get stuck on certain app and stop working on other text field when you press the keyboard shortcut. Thus, a restart should fix the issue. The emoji panel was once available only for people who set their keyboard input language to EN United States. This was, however, changed since recent update and you can use Emoji panel even if you’re on other languages. 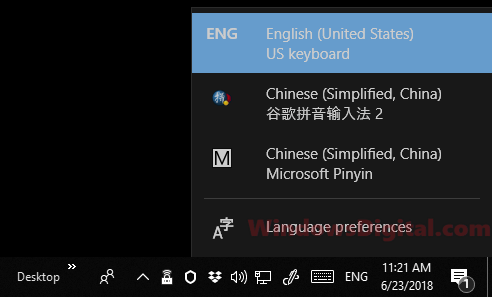 If for some reason, you have to stay with an old Windows 10 update where the emoji panel doesn’t get patch yet, you may want to try changing the keyboard language to en_US (English – United States). Even if you’re not sure if this has anything to do with the Windows 10 emoji panel shortcut not working issue, just try to change the keyboard language to en_US and see if it works. 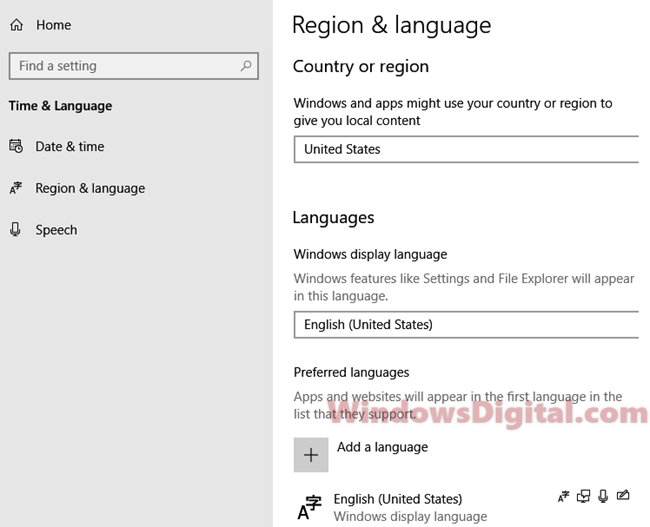 Here’s how to add or switch your keyboard language to United States English. If you have multiple keyboard input languages in Windows 10, click on the input method in taskbar. Select English (United States) US keyboard. Try Win+. keys to open emoji panel and see if it works. 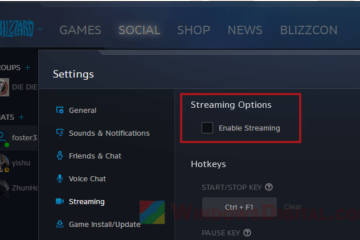 If you don’t see US keyboard in the input method list, go to Settings. Select Time & language, then Region & language. Click Add a language and add English (United States). If that doesn’t work, try to also change the Country or region to United States. After changing the keyboard language, you may need to restart your computer. 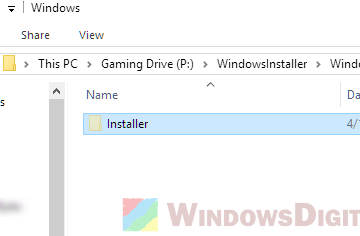 Upon restarting your PC, try to press the Win+period keys again and see if the Windows 10 emoji panel keyboard shortcut not working problem is fixed. 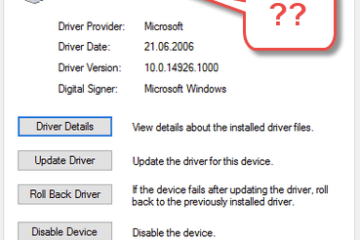 To run Windows update, go to Settings and then select Update & Security. 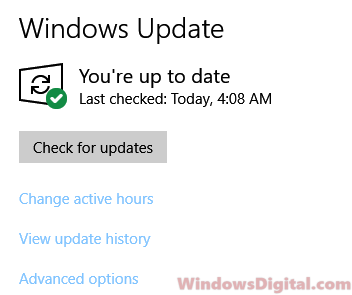 Click on Check for updates to allow Windows 10 to automatically scan for and install the latest updates. Description for sharing: See this fix if Windows 10 emoji panel keyboard shortcut not working or won't show up even after pressing the Win+period keys after update.